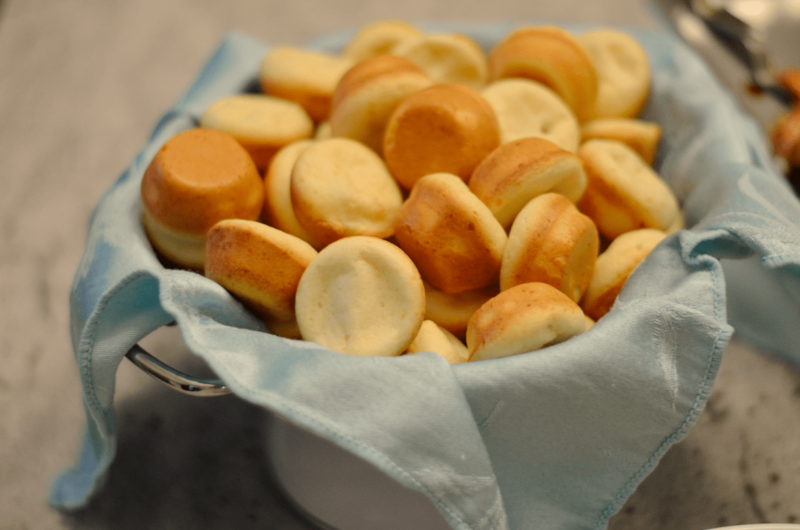 For the 4 cups crumbled cornbread needed to prepare this recipe, bake 1 pkg. (8.5 ounces) corn muffin mix according to the package directions for the pan of cornbread. Cool, then coarsely crumble. To toast the crumbled cornbread, preheat oven to 400°F. Spread the cornbread onto bottom of large shallow baking pan. Bake 10 minutes or until lightly browned, stirring after 5 minutes.) Growing up my mom would make rice and feijoada (beans, pronounced: fey-jwah-duh) with almost every meal. 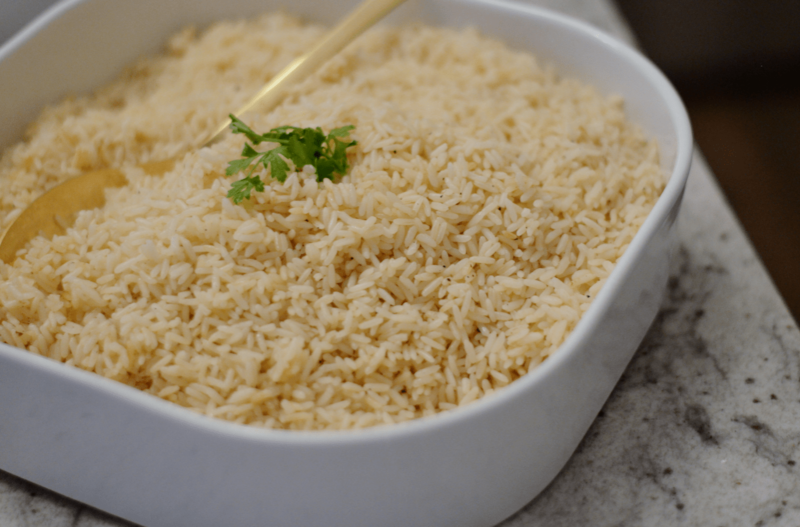 I didn’t realize it wasn’t normal, for friends mom’s who weren’t from Brazil, until I was about twelve and they didn’t serve rice and beans as a side dish with foods like spaghetti, seriously. Even though I grew up eating it all the time, taking it mostly for granted, when I make it now my friends and family go crazy over it, kind of like they did with the sausage cornbread stuffing! 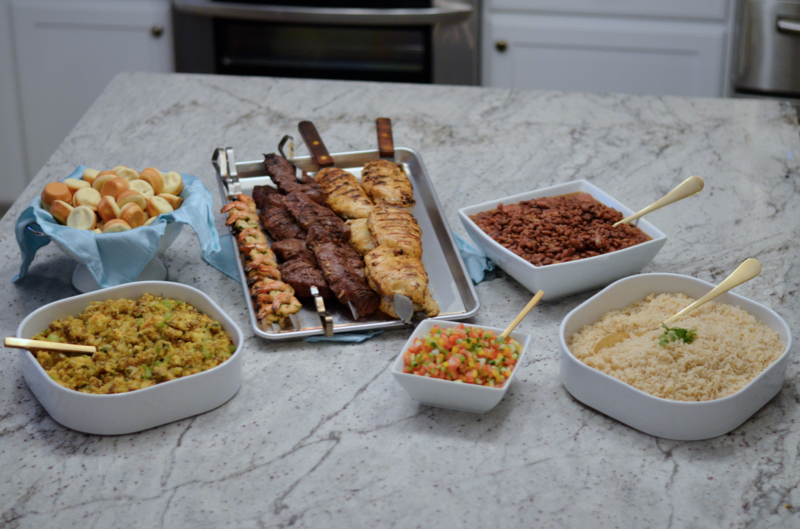 The whole meal turns into “Brazilian BBQ” dinner party with the feijoada as one of the favorite dishes served. I would describe feijoada as a bean stew made with pinto beans, onions, garlic, bacon, link and roll sausage, its traditionally served over rice or with barbecued meats. Is your mouth watering yet? 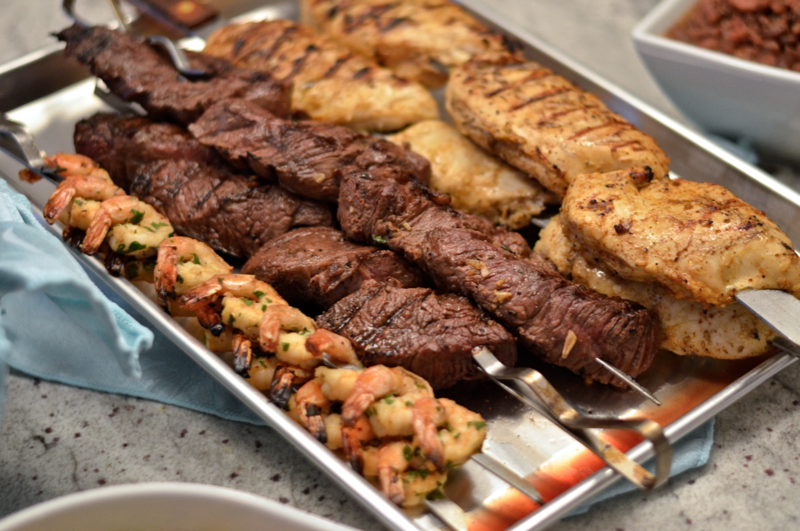 The menu for this dinner party included grilled chicken, beef, and shrimp as the main proteins. For the sides, I served sausage cornbread stuffing, rice, vinaigrette (Brazilian salsa), pao de queijo (Brazilian cheese bread) and my favorite part of the meal: Feijoada! 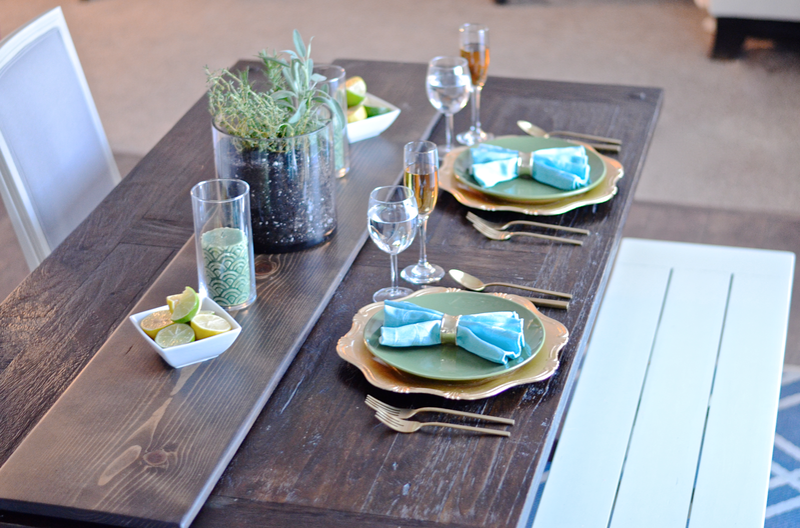 What recipes will you be making for the holidays to #SavorTheSeason ? Lets talk about how to make this savory feijoada. Make sure you use Jimmy Dean® Roll Sausage (found at Meijer grocery store) there is a big flavor difference in quality compared to other brands I’ve used, so use Jimmy Dean®. You can find in the refrigerated meats section, right next to the bacon and breakfast sausage. Or if convenience is your scene, did you know that Meijer offers Curbside pickup? You simply send them your list and the nice people at Meijer’s will do all of the shopping for you, and have it ready for you at your convenience (either walk-in or drive-up) I love that! 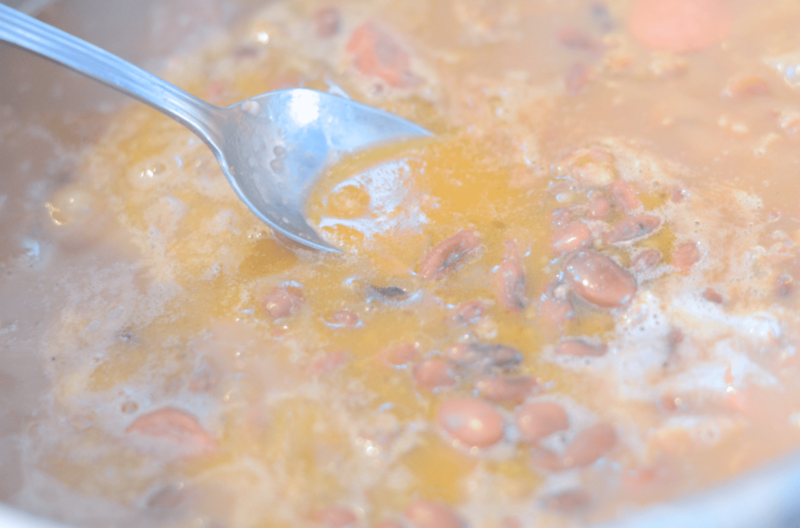 Soak the pinto beans in a large bowl, completely submerged in water overnight, or at least 8 hours. The beans will soak in lots of the water, make sure to add more water to cover if needed. 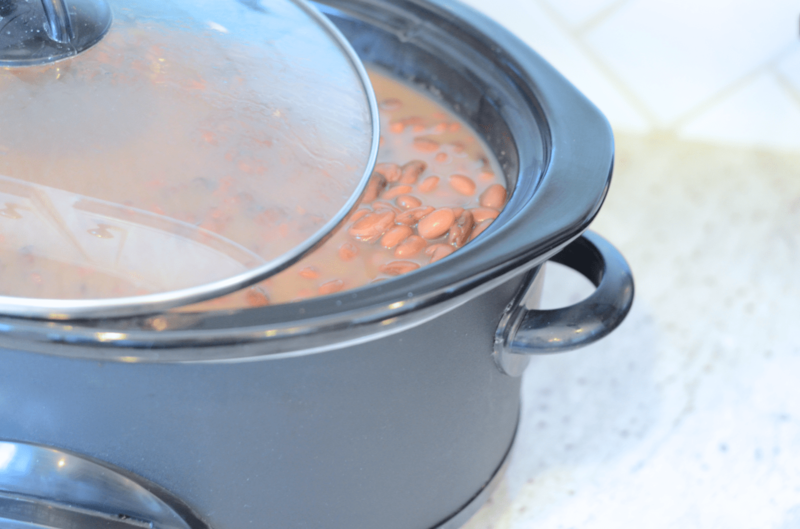 Transfer the beans and the water to a crockpot. Make sure they are completely covered (add a little water if needed, no excess.) 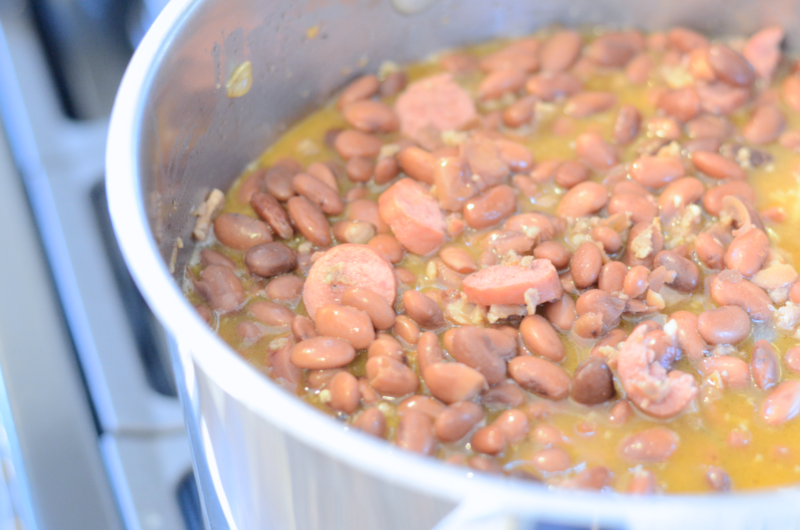 Cook the beans on high for 8 hours. Keeping the beans cooking in the crockpot, cook onion, bacon and garlic together on medium/high in a large pot, stirring often. 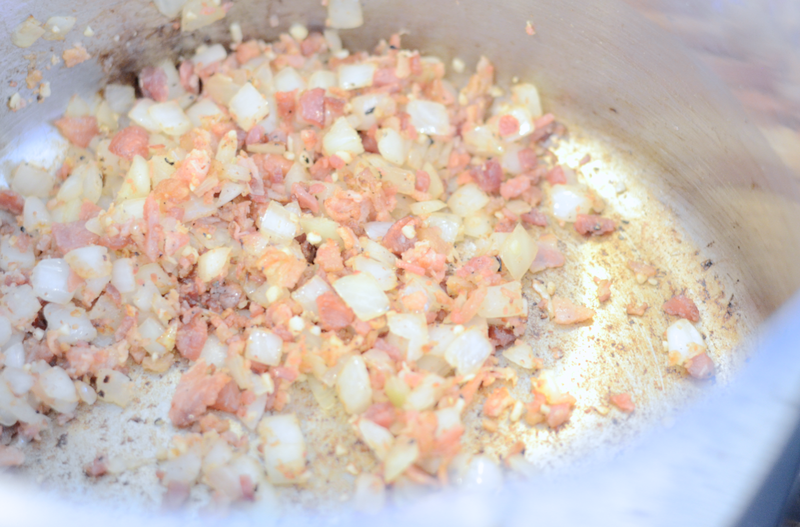 Allow the onions, garlic and bacon to caramelize. Add the sliced link sausage and Jimmy Dean® Premium Pork Roll Sausage, to the mixture. Salt and pepper the meat to taste, don’t go too crazy, you can add more as needed later. 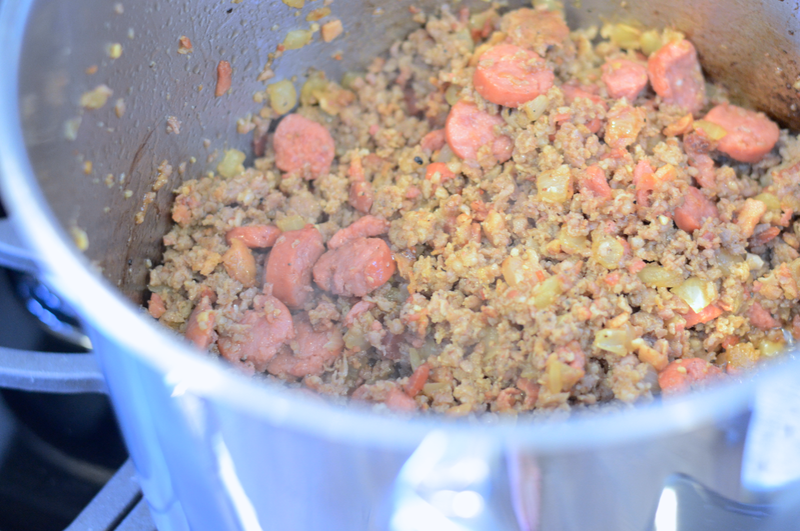 Continue to mix the sausage and cook everything together, chopping up the sausage as it cooks. 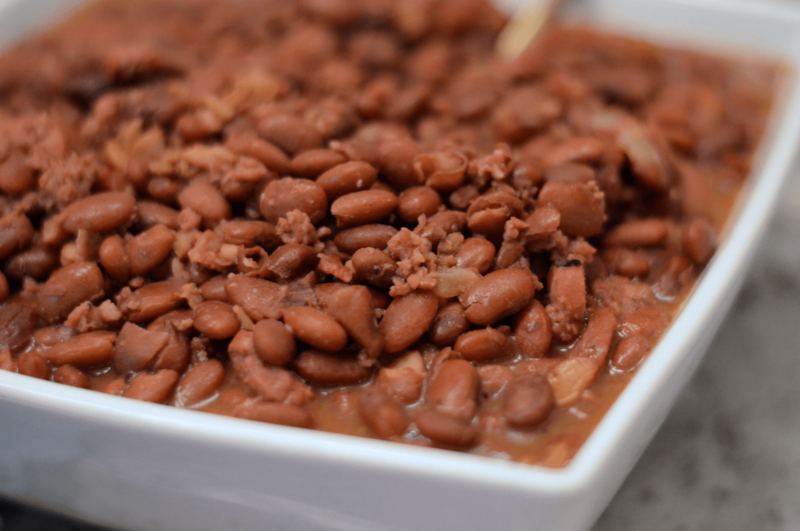 Once all of the meat is cooked, add the entire contents of the cooked crockpot beans to the cooked meat mixture. Salt and pepper again to taste. The fat from the meat will rise to the top as it simmers in the pot. Cook for another 30 minutes on medium/high stirring often. After 30 minutes the fat will pull toward the center of the pot. Remove desired amount with a spoon or by dipping a paper towel onto the top of the fat, discard fat. Cook for an additional 20 minutes stirring often. 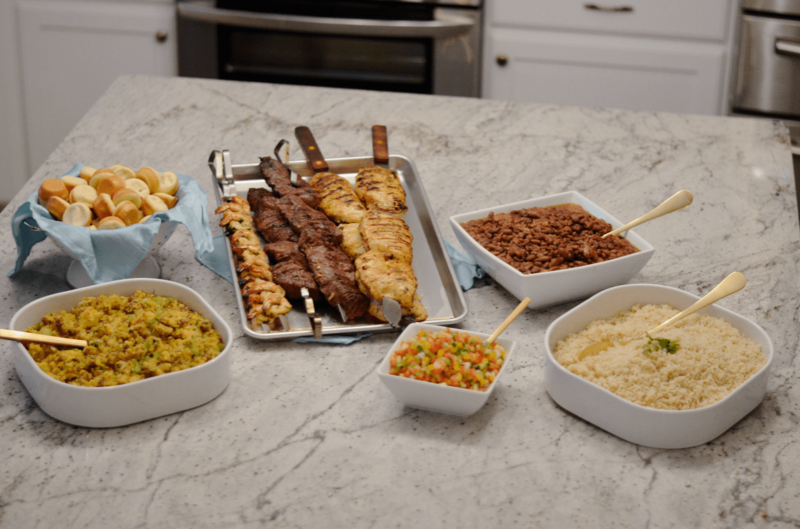 Serve with rice and your choice of Brazilian barbecued meats and sides. 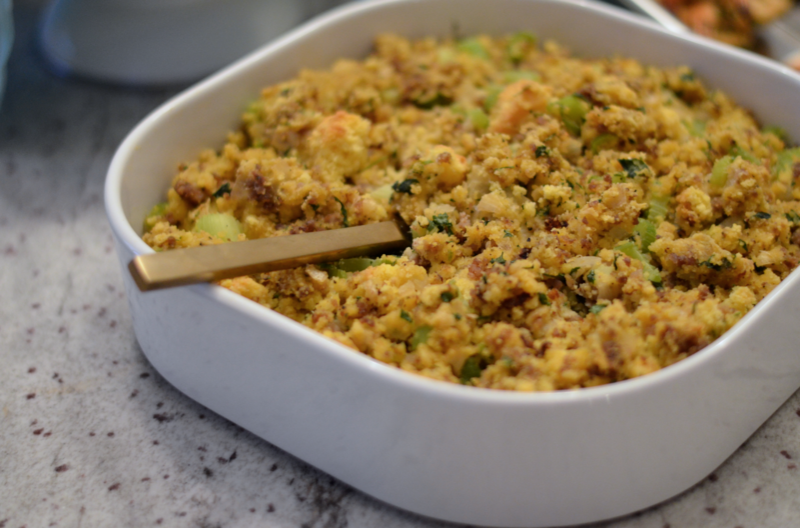 This dish also makes great leftovers and freezes well too. Here is what my plate looked like, Brazilian food is not very dainty. 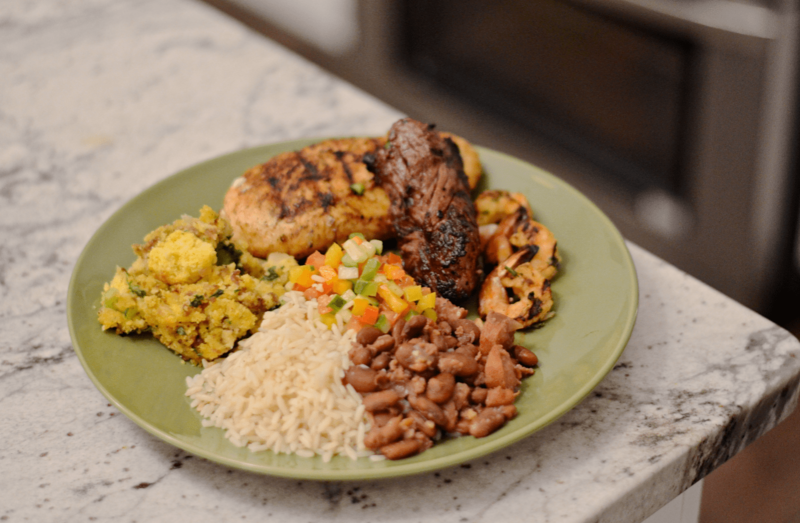 The only rule when building a plate of Brazilian food it to let it all the flavors come together. 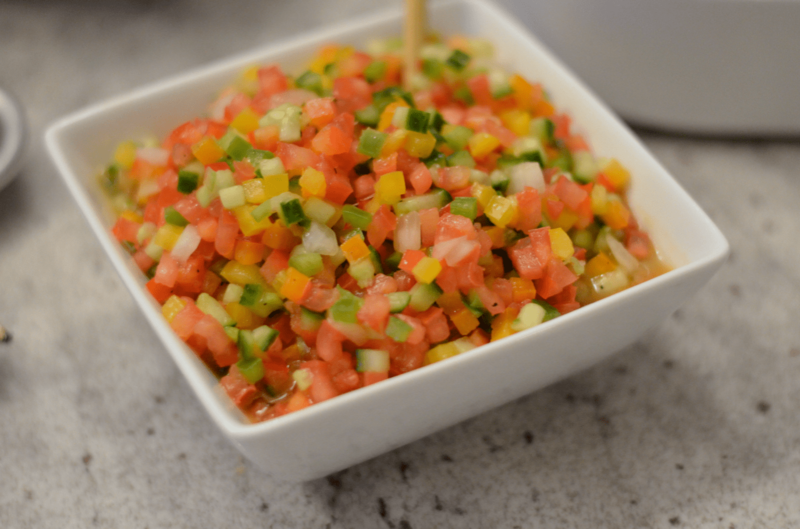 The more you mix the flavors of different dishes and sides, the better it tastes. Thank you so much! You’ll love both recipes!